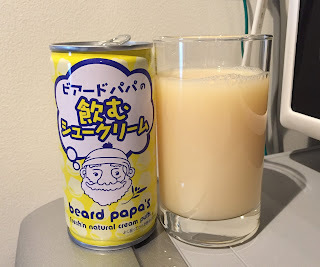 Before coming back to Japan, I made a list of new items with launching date, and one of the goods I was interested in was "Beard Papa's Cream Puff Drink (ビアードパパの飲むシュークリーム, Bead Papa's Nomu Shu-kuri-mu)." It's prelaunched on March 21, 2017 in a vending machine company called "acure" found in stations and the national launch is on April 24, but I'm not sure if the "national launch" means this canned beverage will be available at conbini or supermarket other than vending machines. 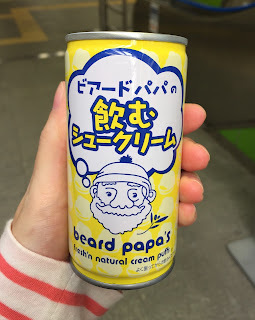 When I got off at Suidobashi station with my friend, I saw the acure machine and there's the Beard Papa's Cream Puff Drink, but it had "in preparation." 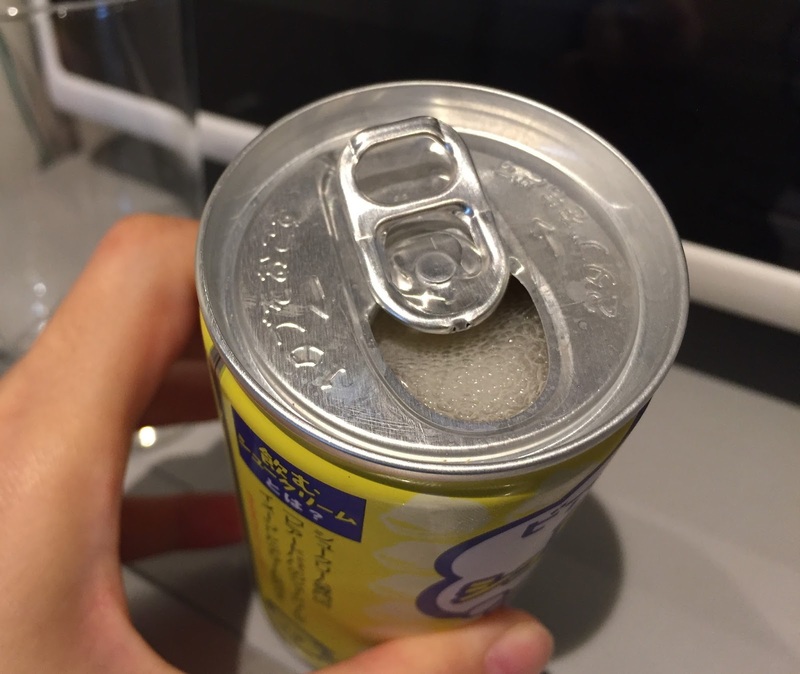 Though I gave it a try, it sure didn't let me choose the item unfortunately. 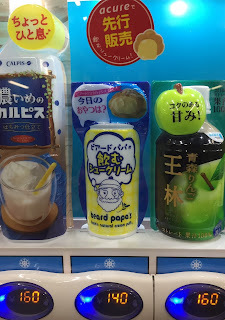 I couldn't give up on this drink so that I kept staring at each acure machine till we went to the gate, but I learned not all the acure machines have the same selections. 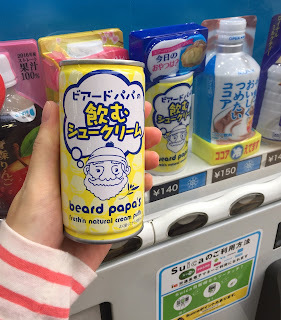 My husband also found this at another station. 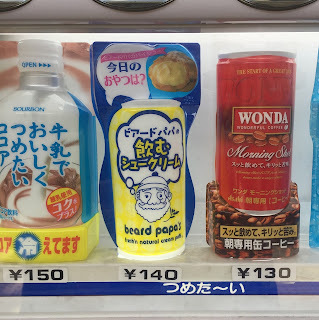 However, right before getting out of the gate, there's another acure machine and IT HAD THE DRINK!!! 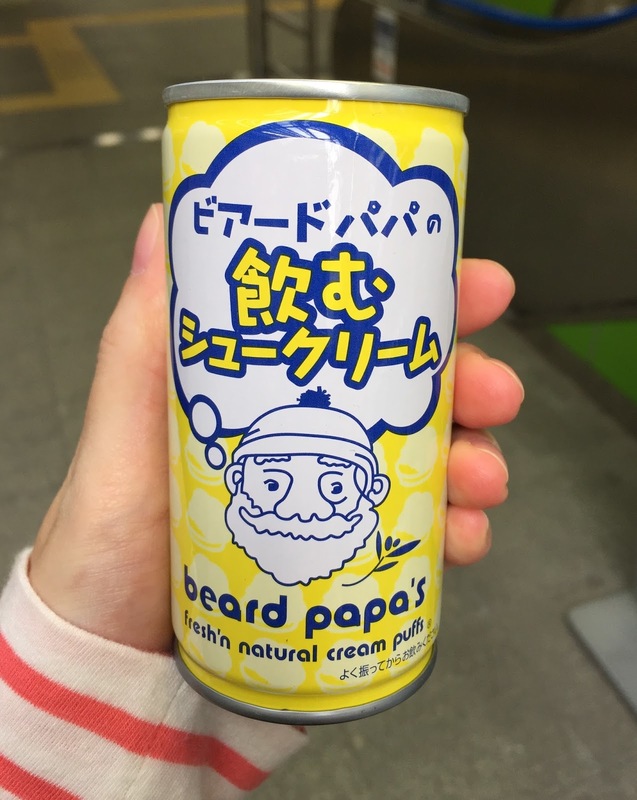 This is the Beard Papap's Cream Puff Drink can. It says to shake it well before drinking. 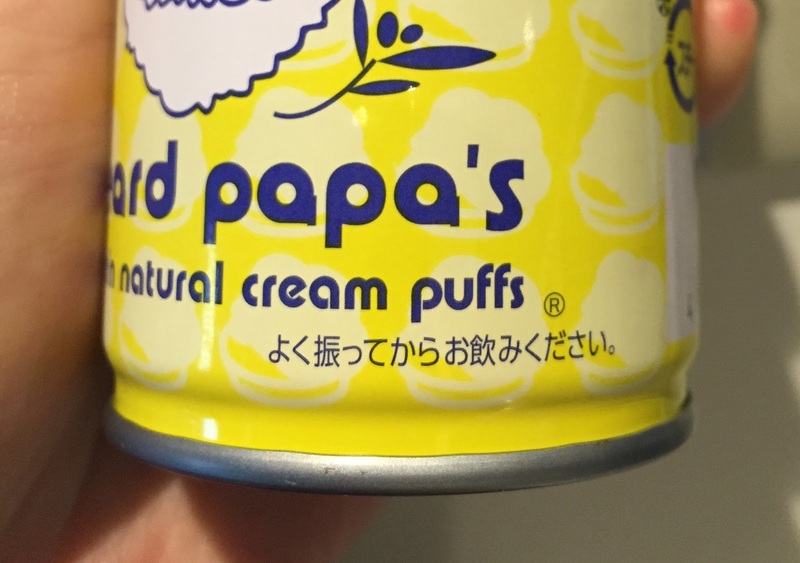 The can was bright yellow and there're tiny cream puffs printed with cream color. As I shook it well, the contents had some bubbles. 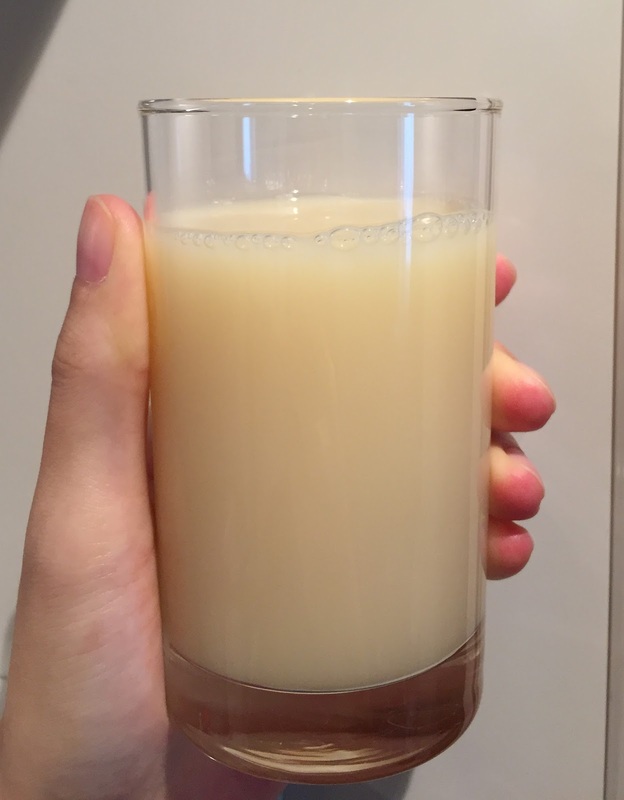 It's bright beige or creamy white. 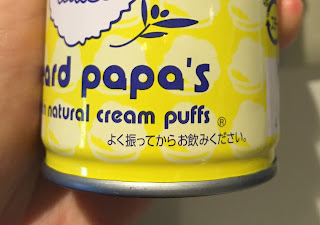 It had very sweet scent similar to condensed milk. 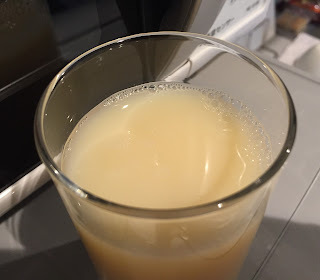 In contrast to the sugary scent, the beverage was very light and watery. 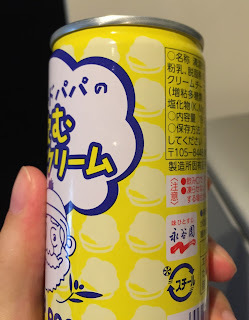 It had really sweet condensed milk flavor as its scent, and it also had subtle caramel-alike flavor, too, though no fragrant flavor of the puff so that it's like "the filling became drinkable." 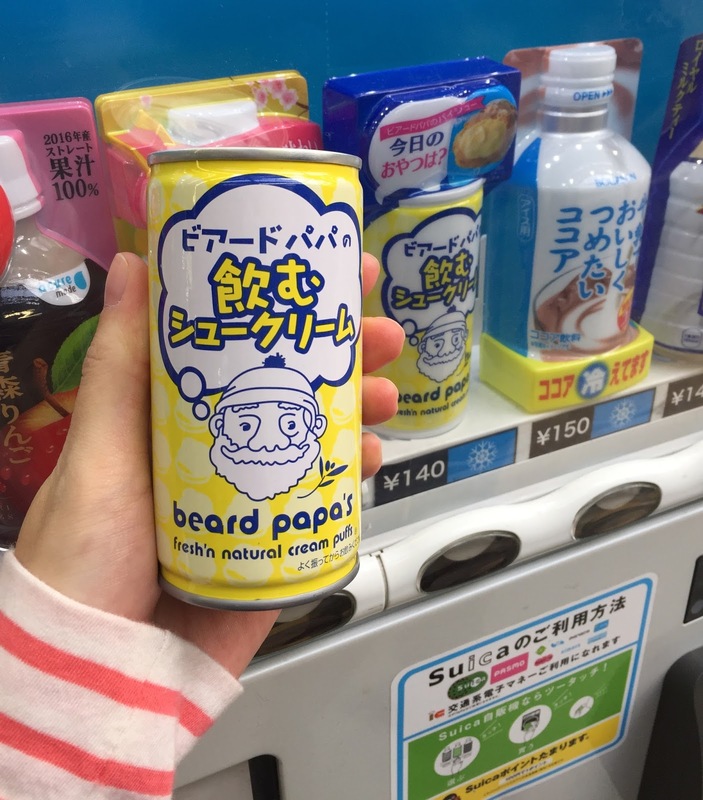 I got tired of the flavor after 3 sips, but it could have been enjoyable if I had frozen them into ice cubes to eat little by little. Other items from Beard Papa's.